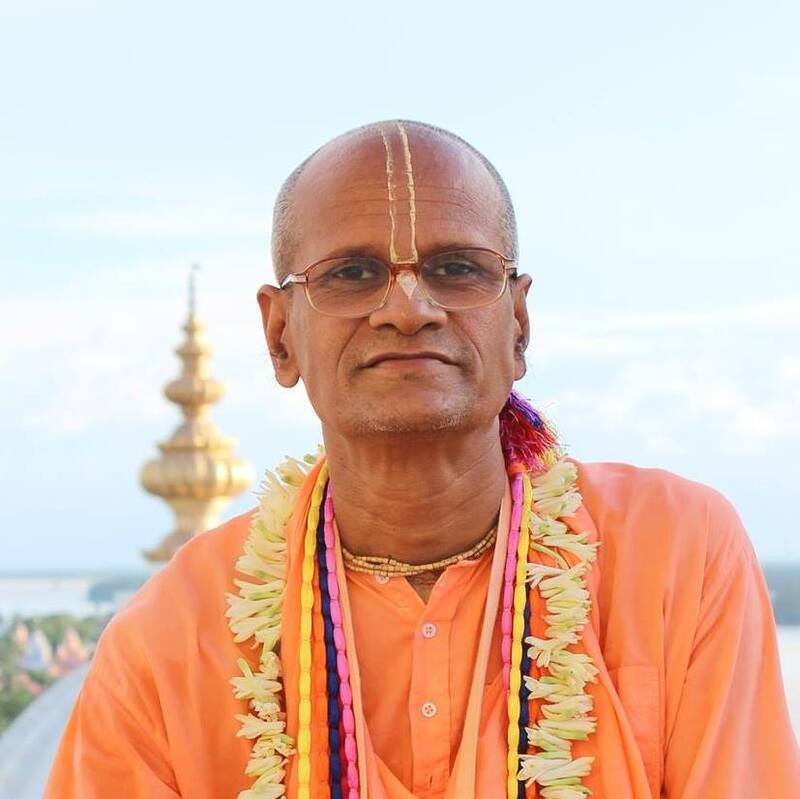 Once, Srila Vyasadev’s grandfather approached him and requested,“My dear grandson! I am very afraid of death. I do not want to die. Kindly make some arrangement for me so that I will not die.” Çréla Vyäsadeva replied, “My dear grandfather, how is it possible that you will not die? Everybody who has taken birth must die. This is a universal truth. I have never heard of one who does not die. Before starting out for their meeting with Chitragupta, Vyasadeva’s grandfather asked Mahakala-purusa to join Yamaraja, Vyasadeva and himself. Thus the four of them proceeded to Citragupta’s office. Vyasadeva approached Citragupta, humbly requesting him to find out about the death of his grandfather. Citragupta, at the request of Vyasadeva, checked the file and informed the visitors that according to the record of Vyasadeva’s grandfather, he was not destined to die. Everybody was happy and relieved to hear this news, as they had all come there with the intention of stopping the death of the grandfather. While they were all busy expressing their happiness, Citragupta exclaimed, “wait! wait a minute. Actually the record says that Vyasadeva’s grandfather will avoid death in this life as long as he does not meet Vyasadeva, Yamaraja and Mahakala-purusa together. Whenever these three personalities come together in his presence, he is sure to die….” Before Citragupta could finish his sentence the grandfather fell dead on the spot. We can see from this narration how the grandfather of Srila Vyasadeva made so many endeavours just to meet death, although he did not want to die. His intention was to avoid death, but his efforts only served to lead him more swiftly to his demise. Although he was not scheduled to die, he went to so much trouble to make sure that exactly those three personalities would gather together in his presence, thus unwittingly causing his own death. Thus people always try their best to stop or delay death. In reality most people are simply engaged in activities that serve to bring them closer to death. All endeavours to stop death become the cause of death, as happened in the case of the grandfather. He travelled so far and worked so hard just to manifest the conditions that would bring about his death.